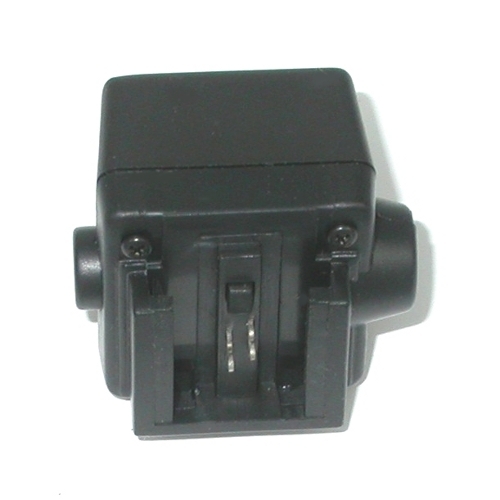 Flash Hot Shoe Adapter for SONY Minolta Maxuum Dynax FS-1100 Introduction This flash adapter is specially designed for Konica Minolta digital cameras and Minolta film cameras. Since Sony took over the camera branch of Konical Minolta, it is now an indispensible accessory for its DSLR cameras. This flash hot-shoe adapter connects all third party flashes to the Minolta / Sony Alpha hot shoe. 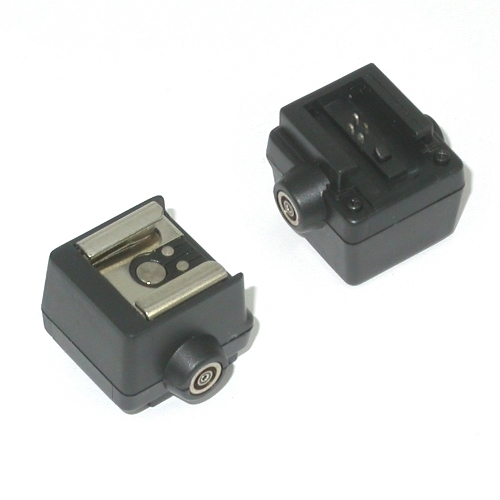 This is a third-party replacement for the original Konica Minolta FS-1100 hot shoe adapter. It works with the most recent Sony Alpha DSLR as well. 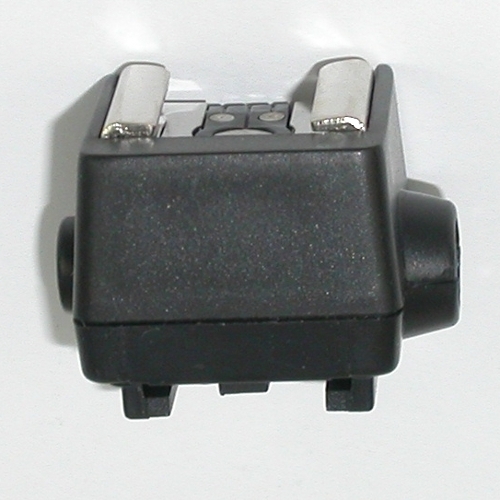 The hot shoe adpater also comes with a PC sync port output. With this adpater, you can expand the choice of flashes to your Konica Minolta / Sony Alpha cameras. "Do not use with old (usually more than 10 years old) high sync voltage flashes, as the adapter does not include a voltage matching circuit." Size: 35 x 25 x 27mm (1.2" x 1" x 1") Weight: 16g Contains: Hot shoe adapter x1 Brand new, never used Suitable For Konica Minolta Maxuum / Dynax / Alpha 7D, 5D, A200, A2, A1, Z6, Z5, Z3 Minolta film cameras Maxxum / Dynax / Alpha 9, 7, 5, 4, 3L, 60, 40, 800si, 700si, 9xi, 7xi, 8000i, 7000i Sony Alpha DSLR-A100 A200 A300 A350 A700 A900 etc.